William Electric Black, host of Poetry Electric at La MaMa in NYC, introducing the show By Light of the Nerve Lantern, March 18, 2013. 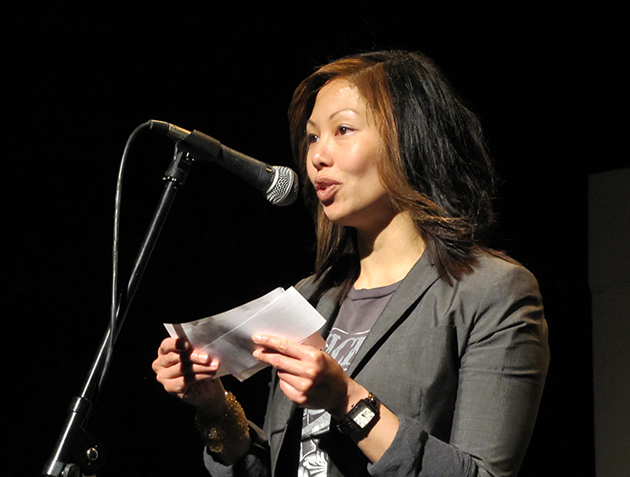 Kris Lew, co-organizer and emcee for By Light of the Nerve Lantern, introducing the performances. 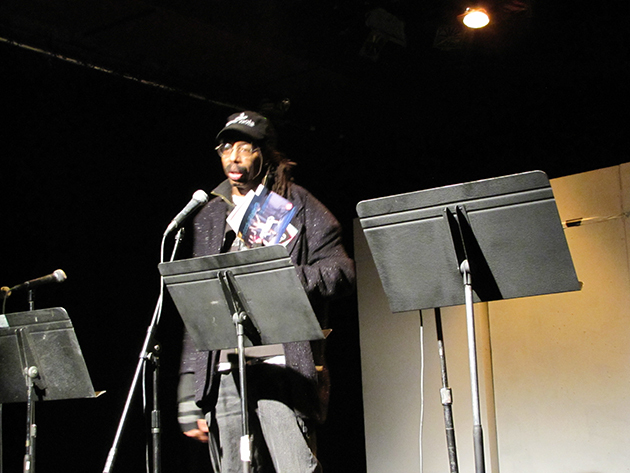 She also performed her piece “Logic of the Sane.” March 18, 2013, at La MaMa in NYC. 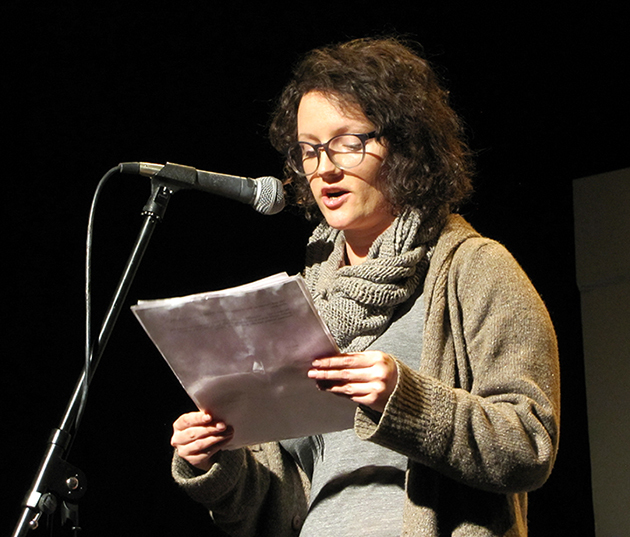 Caroline Contillo performing “Overgrown!” by Jessica Hagemann at the show By Light of the Nerve Lantern, March 18, 2013, at La MaMa in NYC. 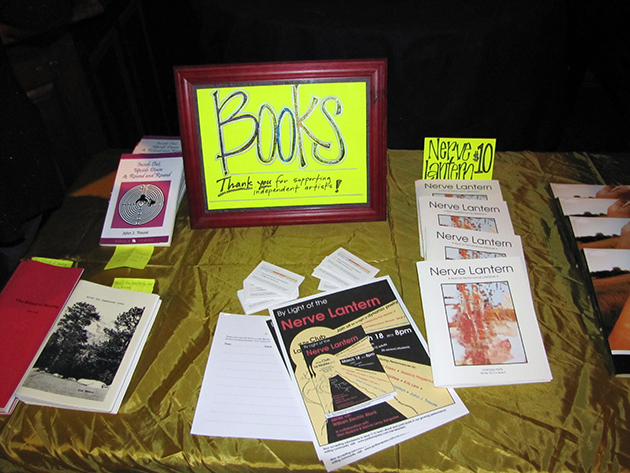 Copies of Nerve Lantern issue 6 and other books by the performers.